Collins Booksellers - Brainstorm! 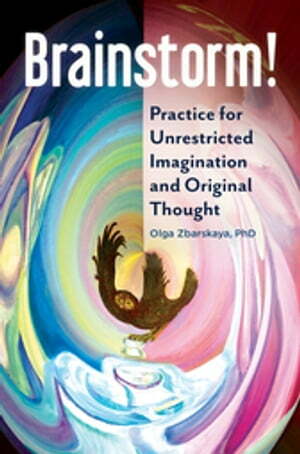 Practice for Unrestricted Imagination and Original Thought by Olga Zbarskaya Ph.D., 9781440853944. Buy this book online. Brainstorm! Practice for Unrestricted Imagination and Original Thought shows, with scientific proof, that the powerful engine of creativity has unlimited fuel and can power every sphere of life, from food preparation to personal relationships and from academia to government administration. It is a manual for leveraging creative thought in order to overcome barriers, solve difficult problems, and streamline and optimize day-to-day living. Educators, institutional leaders, and CEOs will discover how creativity-boosting courses and trainings can promote unprecedented performance and productivity among students and employees. Based on extensive research data and more than 100 interviews with experts worldwide, this accessible and engaging book presents vivid analogies and metaphors; insights from experts in various fields ranging from education to neurology, music, and technology; and fun exercises that make it clear that creativity is indispensable in every realm of life—and that anyone can take simple, effective steps to tap into their own creative potential.